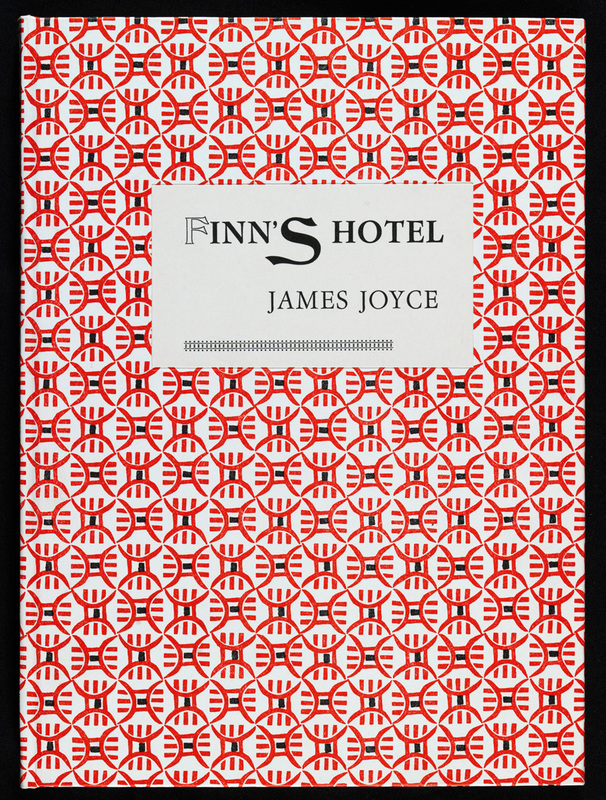 The Ithys Press limited first edition of FINN’S HOTEL was produced in three issues, each letterpress printed and bound by hand. Below are images and details of each of these issues. Numbered Issue (pictured above): We have printed 140 copies on Fedrigoni Vellum (a 190gram, smooth and elegant Italian paper) and handstiched and handbound this issue in hardcovers featuring the red and black letterpress printed paper designed by Elisabeth Hyder and black head- and tail bands. The front cover is impressed with a letterpress printed label. This issue is our ‘standard’: a collectible, modestly priced finepress first edition. Numbered copies are €350. Front of the clamshell box of the loose-leafed Lettered Issue. Lettered Issue (the 2 pictures above): We have printed only 26 copies on Zerkall Litho (a 210gram, exceptionally fine mouldmade paper, watermarked and with deckled edges) for presentation as a loose-leaf book of ten signatures. 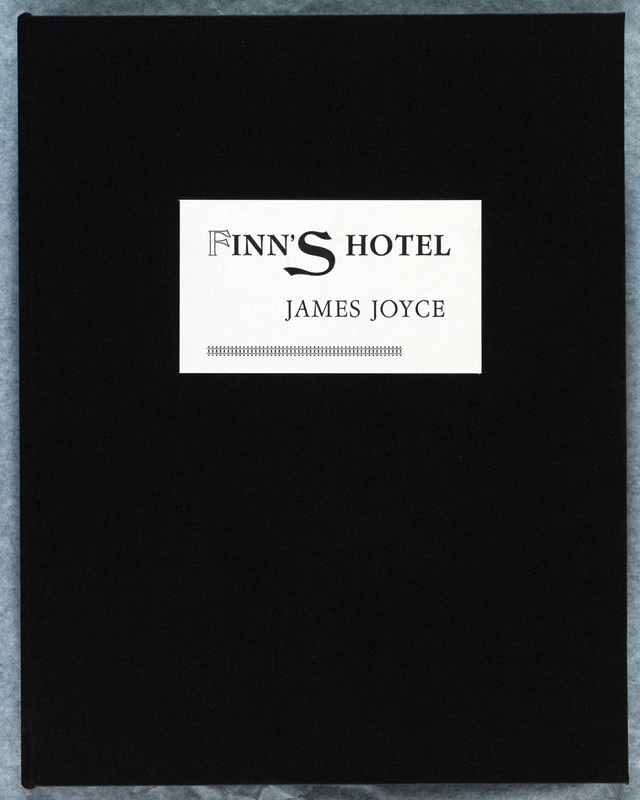 The book is wrapped in a coloured paper cover with a letterpress printed label and then presented in a handmade black cloth-covered clamshell box (or ‘chocolate box’). Traditionally, such loose-leaf books are especially attractive to printing-arts enthusiasts and to collectors who prefer to rebind their books in a bespoke style to suit a particular library or collection. 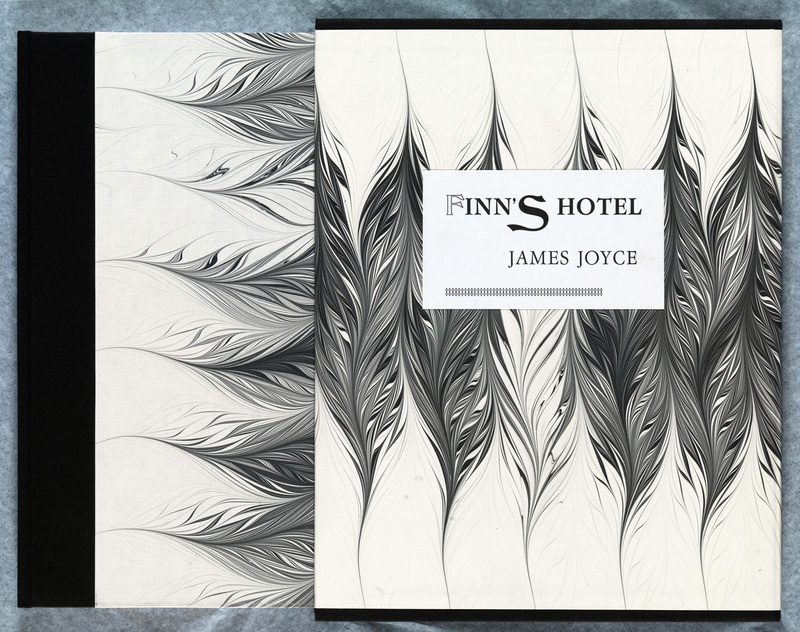 Lettered copies are €1,250. 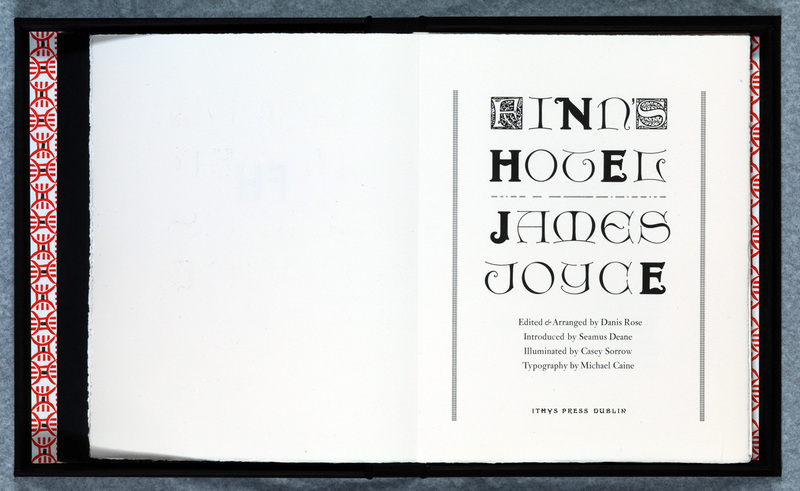 Front cover of the handbound Deluxe issue. Deluxe Issue (the 2 pictures above): We have printed a special run of only 10 copies on Zerkall Litho for presentation in Artist’s Bindings. 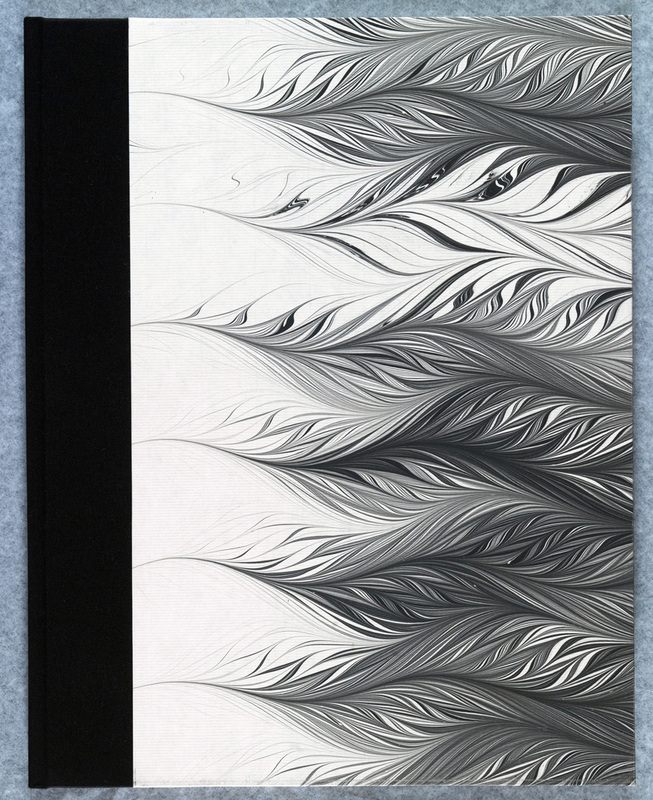 Designed by the Spanish artist Antonio Veléz Celemín exclusively for this first edition, these copies are beautifully handbound in quarter cloth with exquisite hand marbling on both the book and the slipcase, joining two complementary patterns. To achieve this unique and specially commissioned design, the artist has combined Suminagashi (a Japanese technique dating back to 1055) using only black ink, and the classic western pattern of ‘wavy thorns’. These are our ‘top copies’: they marry the finest in printing art with a rare fine-binding. The Deluxe copies are €3,000. This issue is SOLD OUT.